Want to help with Q-gears, but can't code or make a webpage? How about helping with a logo? 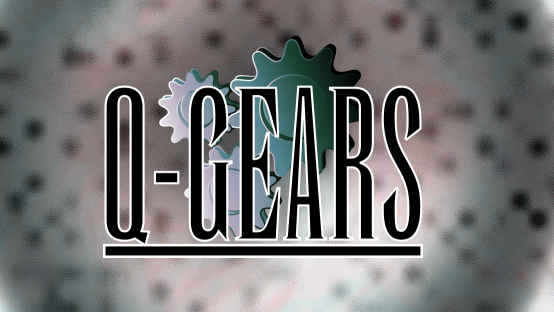 As it stands right now, the splash screen for Q-gears leaves much to be desired. It's amusing, but it's not really ours and is kind of a place holder. If you guys want, how about deveoping a noew logo and/or spash screen for Q-gears. Here is the current spash screen. Like I said, cute, but not ours. Rule of thumb is you should bake the logo original. Don't use artwork from Square. It, however, can contain some artistic elements of FF7, as long as you drew it. Alos keep in mind that Q-gears, in the end, will most likely have support for FF8, 9 and the PE series too. Keep in open ended. Re: Q-gears logo/Splash Screen contest. How about this? The colors are FF7, but other than that I think it fits the idea pretty well. That's really cool! If the font was not so tall that would even be a few pounds more awesome. I scaled the font so that the letters would have the same height, width, and spacing as a normal Final Fantasy logo. I might make the gear bigger, though, to make the whole thing scale better. What font are you currently using?Â I think the font used by the Final Fantasy series is called "Onyx. "Â By the way, great looking screen. I'm using Runic MT Condensed. I compared it to Onyx, and I thought it would work better. While Onyx is quite similar, Runic MT Condensed is slightly more accurate, by my comparison. I especially noticed the letters "S" and "A", because those were the only ones also in the name "Q-Gears". Just a Suggestion, What about multiple gears. 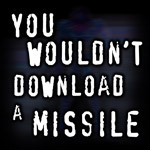 The reason I suggest is because the project is called Q-gears. But Not only that, could we have the the gears rotating as if they were part of a working device. Two that are meshed at the angle of the ff7 logo, (The upper right one smaller and the same colors) and then a tiny thierd one where the little dot is on the orginal ff7 logo. That will make it longer and maybe make the font "fit"
Maybe different color gears, each representing the games supported. Different colors? Hmm... I could have FF7/8/9, but I have no idea how I'd do colors for Parasite Eve. That game didn't have a FF logo, and didn't have a color scheme to work with for the logo. For a splash screen, you could use the one with a background, and make the rest of the screen black. I like it. The shadows behind the gears seem a bit out of character for Final Fantasy, and I don't know about the background either, but I really like the concept. Also, is Inkscape required to open the vector version? It's kind of an inconvenient program in my experience. You can actually open SVG in many programs. The file just has some extra XML data for inkscape--but the image is still viewable in say, firefox (GIMP, among other programs, can import SVG). Feel free to modify the SVG and do what you want. Here you go, believe it or not, I drew this 100% free hand in microsoft paint, and It took short of 3 minutes. I'm open to any other art projects as well -- its one of my most commended hobbies . Oh wow, VERY NICE. It would be cool if you used the font Runic MT Condensed, and maybe set up a semi-gradient like in the real FF7 logo. Also, I don't know if a copyright notice is entirely in order, considering that it's made by numerous people, not just halkun. Hah, gears forming the comet...that's very original. I was thinking of putting the main characters from each supported game faded into the background, and then a cool looking Q-Gears text is slapped in the middle. I dunno. I was thinking of putting the main characters from each supported game faded into the background, and then a cool looking Q-Gears text is slapped in the middle. It might be better if we stay away from any trademarked characters in the logo. I like the logo by RPGillespie, it makes a nice suttle hint. I think if you use those gears, with the alpha transperancy, and using the Runic MT Condensed font, then you got yourself one sweet looking splash screen/logo. I knew there was some reason my idea had a 0% chance of working. I like Otokoshi's idea, but it'd be even better if the logo was bigger. I like the logo by RPGillespie, it makes a nice suttle hint. I think if you use those gears, with the alpha transperancy, and using the Runic MT Condensed font, then you got yourself one sweet looking splash screen/logo. For some other gears, go to google images and type "sprocket"
Personally, I like logos that are easy on the eyes (aka, white text on black backround)... kind of like maddox's webpage. I'll run it through Photoshop when I get back to school on Tuesday if I have a chance. Edit: Ehh, the comet angle isn't quite right... I'll tinker around with it a little tommorow... It should look a little like the ff7 logo, just with gears instead of the comet, and Q-Gears instead of "Final Fantasy VII", and inverted colors so it is easier on the eyes. While the black bg is nice, I think that all the old FF logos had a white bg with black text and a white outline over the text. The logo behind it had generally different colors each time, depending on the game. This thread has just been mauled by the great PostEarter. It's a small furry creature with a taste for unrelated comments than has been known to take out threads like Godzilla takes out low-cost high rises in Tokyo. I really have a low tolerance for threadjacking. I go away for a little bit to study for a final and I find my beautiful thread pooped on. Keep your personal b*tching in the PMs where they belong. If you have any issues, bring them to *ME* before ejaculating spilling them all over the forum. I like the Comet thing. It's in the rules to use elements of the logo without using the *real* logo from the game. How about this. Mix the two ideas togeather. The green color from the single gear logo mixed with the comet-like shape. White background with black letters. I think we almost have a splash screen. In that case, happy working with your "team", you have certainly earned them. I shall not attempt to point out possible trouble anymore, you can keep all of it. In the end, it is *I* who takes responsability for this mess. If, in the end, a lawyer happens by, it was a fun ride. (See my "legal" section in the FAQ).